Katy, my donut dog, deep in sleep. One of the great joys in life is owning a dog you absolutely adore. For me that is my sweet seven year old yellow Labrador retriever, Katy. We got Katy as a one year old rescue dog from the wonderful rescue group, Saving Grace, in North Carolina. She surprised us by chewing just about everything including more than one down-filled pillow. (Did you know that a down pillow contains a million and a half down feathers? Neither did I until I had to clean up the ‘snow filled’ house on several occasions.) Seriously, we quickly found out that this bundle of energy needed really long, hard exercise. 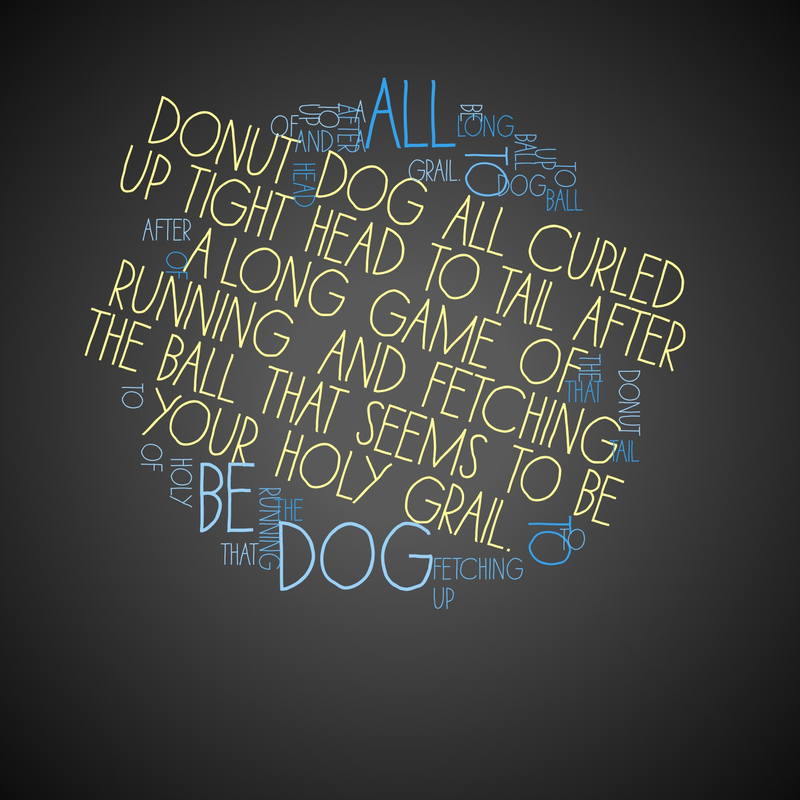 For Katy, this came in the activity of fetching. Even today she still runs so fast that people comment on it. And she fetches until you stop throwing the tennis ball. 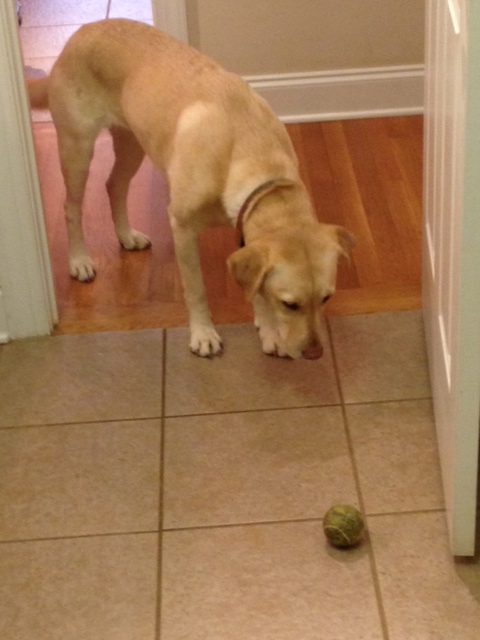 My neighbors are used to dropping off bags of used tennis balls, all for Katy’s pleasure. She definitely has her fans. 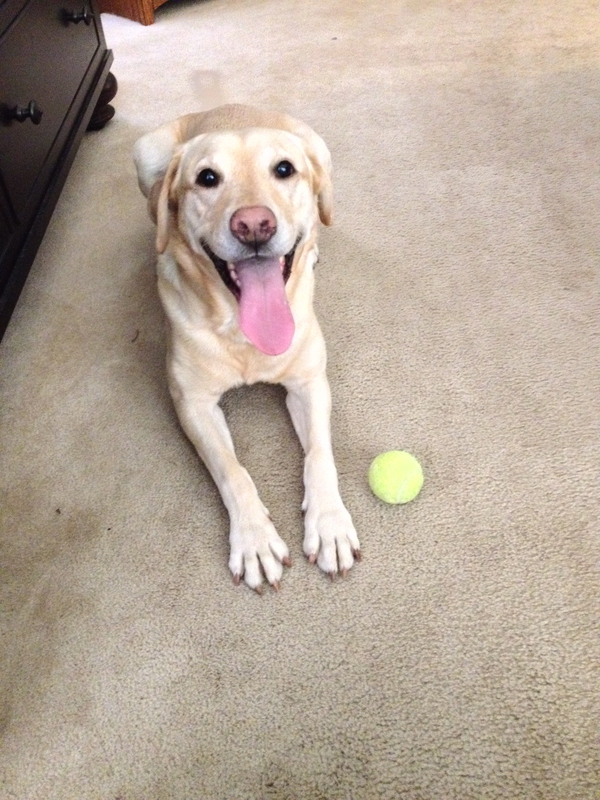 Who can resist a lovely, very silly dog who won’t live without her beloved tennis ball? This poem is my tribute to my dear Katy. 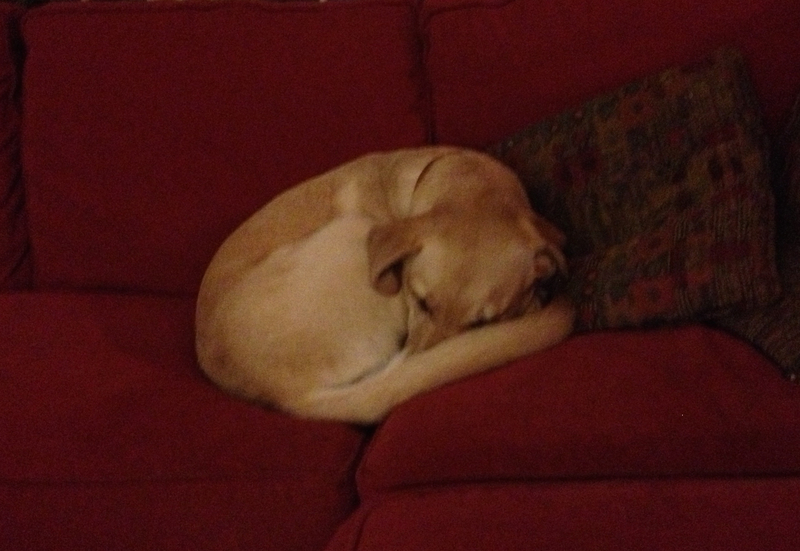 As you can see from the picture above, she loves to curl up like a donut (what dog doesn’t love this position?). A ball is always close by. 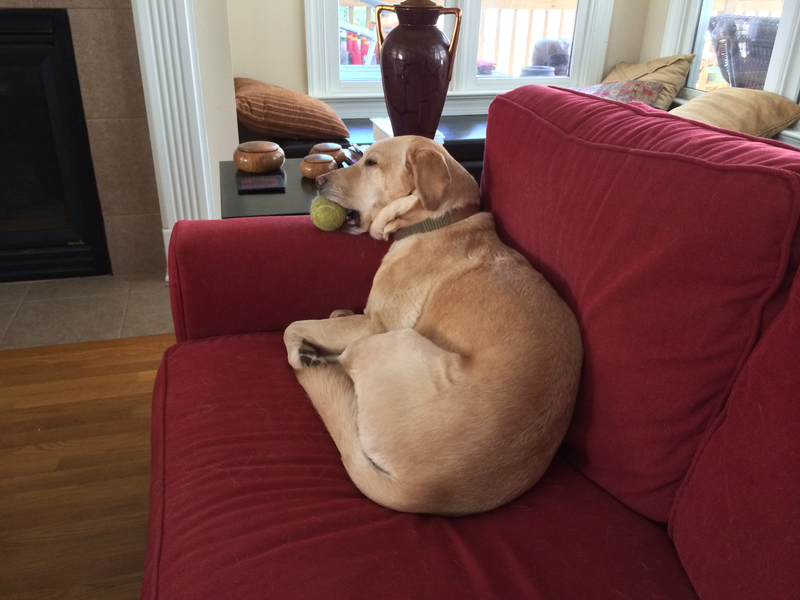 Even old tennis balls need a nap.